ICAT is a new way of thinking about use-of-force training for American police officers. 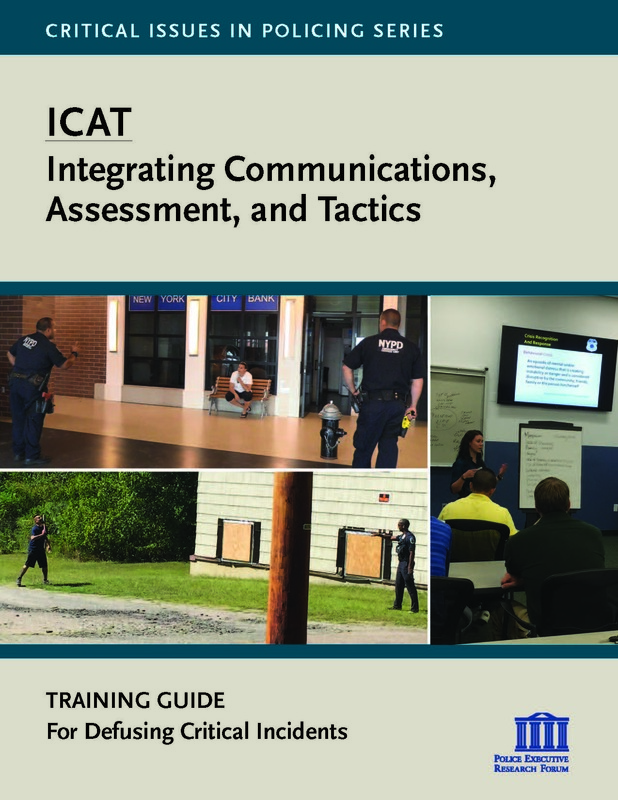 ICAT takes the essential building blocks of critical thinking, crisis intervention, communications, and tactics, and puts them together in an integrated approach to training. ICAT is anchored by a Critical Decision-Making Model that helps officers assess situations, make safe and effective decisions, and document and learn from their actions. The goal of ICAT is to enhance both officer safety and public safety. How? By providing police officers with more tools, skills, and options for handling different types of critical incidents, especially those that involve subjects who are acting erratically because of mental illness or behavioral crisis and who are unarmed or armed with a weapon other than a firearm. In this regard, ICAT is a natural complement to PERF’s 30 Guiding Principles on Use of Force. PERF is in the process of finalizing the content of the ICAT Training Guide, based on feedback received during pilot testing of the materials. Once completed, these materials—including lesson plans, Power Point presentations, videos, and scenario-based training exercises—will be made available to law enforcement agencies at no cost through this website. In the meantime, agencies are encouraged to follow the links below for more information and background on ICAT. For those agencies that are interested in learning more and may want to adopt ICAT into their own training programs, PERF will be hosting a national conference in mid-November. Please check back here for details.